Intel has given rise to much excitement in the competition law community. No doubt it is a high-profile case where much is at stake. If you asked me, however, I would say that the pending preliminary ruling in Post Danmark II is more important for the future of Article 102 TFEU. For some reason, it has attracted relatively little attention (one notable exception is Luc Peeperkorn’s recent article, mentioned by Alfonso a few days ago). Now that the date of the hearing (26 March) is approaching, it makes sense to say a few words about it. From the outset, I have to thank Christian Bergqvist, from the University of Copenhagen, for his availability to discuss the background and some aspects of the case. Some authors have claimed in the past months that the case law on exclusive dealing and rebates has the advantage of providing legal certainty. It is clear that exclusivity obligations and rebates conditional upon exclusivity are, absent an objective justification, unlawful under Article 102 TFEU. A qualified prohibition rule of the kind is undeniably easier to administer than a standard (a different story is of course that the former is less accurate and more error-prone than the latter). What these authors do not always emphasise is that the case law would be easier to administer if it prohibited altogether, absent an objective justification, all other rebate schemes. Even easier to administer would be a rule allowing all rebates. The fact is that schemes that are not formally conditional upon exclusivity are, at least in principle, only prohibited where they are shown to be ‘loyalty-inducing’ (or ‘fidelity-building’). As explained by the GC in Intel, this is a matter to be established following an assessment of ‘all the circumstances’ relating to the rebate scheme in question. The lawfulness of these rebate schemes is, in other words, formally assessed in accordance with a standard. Some standards are good and some are not. A good standard is one that is structured around a set of well-defined proxies and that is predictable for firms and easy to administer for courts and authorities. Bad standards, in turn, are unstructured and make it impossible for firms to anticipate the outcome of a particular case. 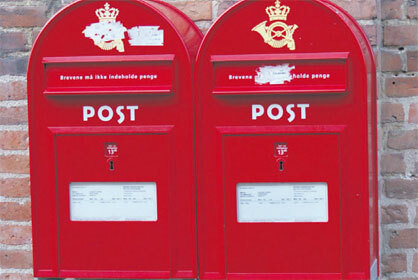 Post Danmark II shows that the standard under which rebates not formally conditional upon exclusivity are assessed is closer to the second category. The criteria identified in the case law to determine whether a given rebate scheme is ‘loyalty-inducing’ do not provide the basis for an operational legal test that can be readily applied by national courts and authorities. Post Danmark II is particularly interesting because it is about standardised rebates (this is explicitly mentioned in the preliminary reference). A scheme of that kind is in principle lawful under the case law. Quantity rebates apply in the same way to all customers and increase with the amount supplied and are thus presumed to reflect the cost savings made by the firm. Is that the end of the story? Does it mean that the scheme in question is compatible with Article 102 TFEU? Not really. We know, at least since Michelin II, that quantity rebates can be found to be ‘loyalty-inducing’ and as such prohibited. As in that case, the rebates in Post Danmark II are retroactive. Is the retroactive nature of the rebates alone sufficient to establish an abuse? An additional factor that was considered in Michelin II is the reference period considered for the award of the rebates. Are all rebates granted over a one-year period prohibited? One can try and read and re-read the relevant rulings, but I am afraid that nothing in the case law clarifies how the abovementioned factors (some hinting at the lawfulness of the scheme, some suggesting a violation of Article 102 TFEU) are weighed against one another to establish whether, on the whole, a particular scheme is ‘loyalty-inducing’. The case law, in other words, does not provide a set of principles for the systematic assessment of the nature of rebate schemes. The different criteria have so far been considered in an unstructured way and in light of the facts specific to individual cases. In practice, and in the absence of a legal test, it is sufficient for a competition authority (or a claimant) to identify some factors hinting at the ‘loyalty-inducing’ nature of the scheme to establish a violation of Article 102 TFEU. This is at least the lesson I draw from Michelin II and British Airways. As soon as any such factors are identified, an abuse is prima facie established and the burden of proof shifts. It is then for the dominant firm to show that the rebate scheme is economically justified. EU courts, most recently in Intel, have repeatedly held that rebate schemes that reflect cost savings are compatible with Article 102 TFEU. Similarly, they have clarified that a case-by-case assessment is necessary for rebates other than those conditional upon exclusivity. The case law has not evolved in a manner consistent with these principles. In reality, and for all practical purposes, rebate schemes seem to be prima facie prohibited irrespective of whether they are formally conditional upon exclusivity. I would assume that it is uncontroversial to state that, where the law fails to capture the principles on which it is based, as is true here, it needs to change or at least be refined. The reasons why the case law has moved away from its underlying principles are not a mystery. It has developed in the context of annulment proceedings, where the primary task of EU courts is to review the legality of administrative action. In such a procedural context the GC and the ECJ are, an analysis of the case law suggests, less likely to develop a substantive test that captures the principles against which the lawfulness of the practices in question is assessed. Unsurprisingly, they are more likely to focus instead on whether the analysis carried out by the Commission is sound and whether it supports the conclusions drawn by the authority. The pending ruling in Post Danmark II shows that the case law, as it stands, does not provide meaningful guidance to courts and authorities in the era of decentralisation – remember there is a decision by the Danish competition authority at the origin of the case. The good thing about the case is that, as much as Post Danmark I, it is a unique opportunity for the Court to clarify the law in the area and to contribute to legal consistency. These are, after all, the very reasons why preliminary references are so important in the EU system of judicial remedies. Great summary and thanks for flagging a perhaps under-appreciated development.